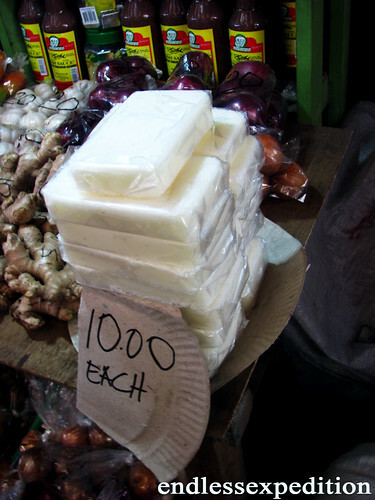 Located at the Heart of the Summer Capital of the Philippines, the Baguio City Public Market is merely just a local market, I can surely tell it is one spot that every Baguio visitor should not miss! With it's fresh fruits and vegetables, to the reddest freshly butchered meat and to it's native Baguio Souvenirs, it is truly a must! With it's burst of colors and bustling sounds, this Market is surely the busiest market throughout the Cordillera Region. From the Greenest Lettuces and Cabbages up until the juiciest Cucumbers, this market caters from the simplest retail buyers, up to the provincial suppliers that brings the freshest produce from the Mountains up as far as Metro Manila and the Southern Luzon Region. Knowing that these are truly fresh and cultivated high above the mountains of Benguet down to the La Trinidad Valley, you surely will have a great tasting Veggie Dish. As every Filipino know, when you say "Baguio City" at least on of the five things that would first come into your mind are Strawberries. 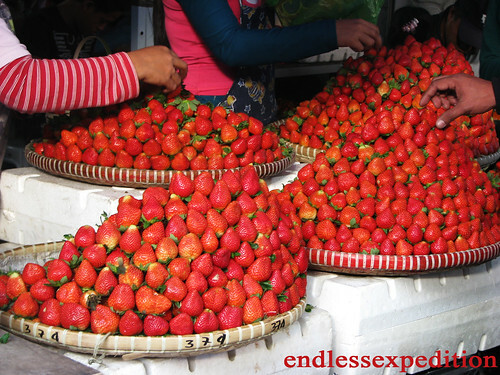 Baguio City and its nearby Mountain Towns are the only place you can find fresh Strawberries being sold. It is only here in the Baguio City - La Trinidad region where these cute little sweethearts grow and propagate due to it's cool climate all year round, which is very rare to a Tropical Country like the Philippines. Addition to that is the rich soil that wanders around the mountains of the Cordillera. Another emerging Product of the Cordillera are the Sagada Oranges. 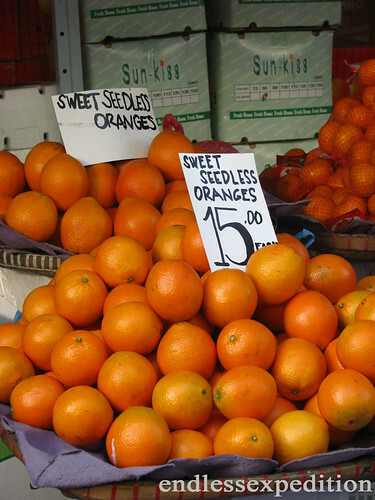 Oranges, just like Strawberries, are not endemic to Tropical countries like the Philippines. But growing them in such cool climate all year round in the Mountainous Region of the Cordillera, growing these fruits are never impossible. Grown from the nearby province of Mountain Province just north of Benguet, these Sagada Oranges are just as good as Florida Oranges, that I tell you!